Tonight Only! See that Speed Crazy Chick! Adults Only! 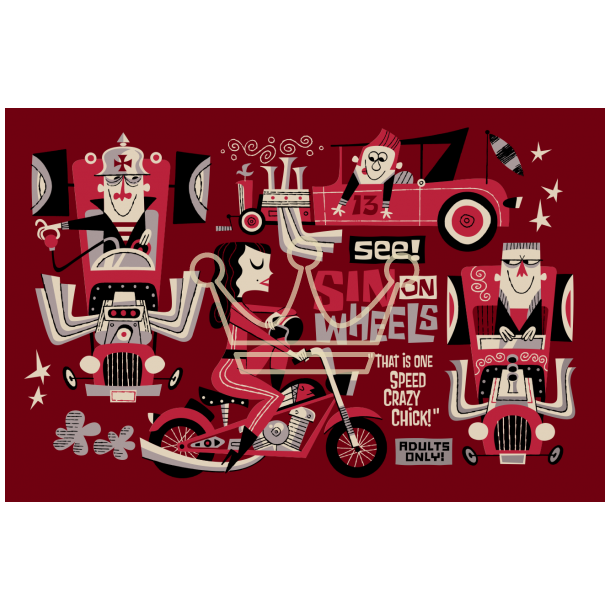 It's Sin On Wheels created by our own Derek Yaniger! 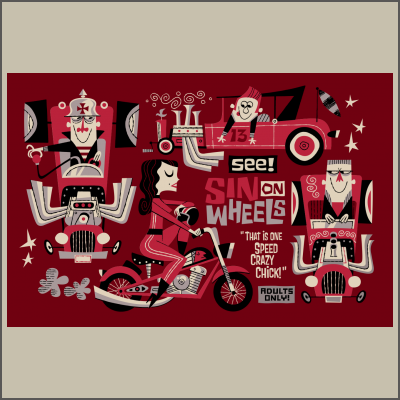 This collectable three color silk screened serigraph is printed on colored heavyweight French Wild Cherry archival paper and measures 19" x 12 1/2" all signed and numbered by the artist in a limited edition of 50.